As most know, BlueStacks is the leading ‘Android for PC’ gaming platform. This allows you to run android apps/games directly on your PC at any given time. The advantages of doing so are numerous. Even on a smaller notebook PC, you’ll most likely have a much bigger screen to play on compared to most Android mobile devices. There’s a key mapper built into BlueStacks. This allows you to configure your keyboard and/or mouse to be used to simulate taps on the screen. You’d be surprised how many find using a keyboard and mouse combination much more comfortable. The speed advantage comes in the fact that even “lower n slower” PC systems are still much stronger compared to many Android devices. And in some cases, they’re cheaper too!! The newly launched BS4 has proven to be a whopping 6x faster than any mobile device on Earth. 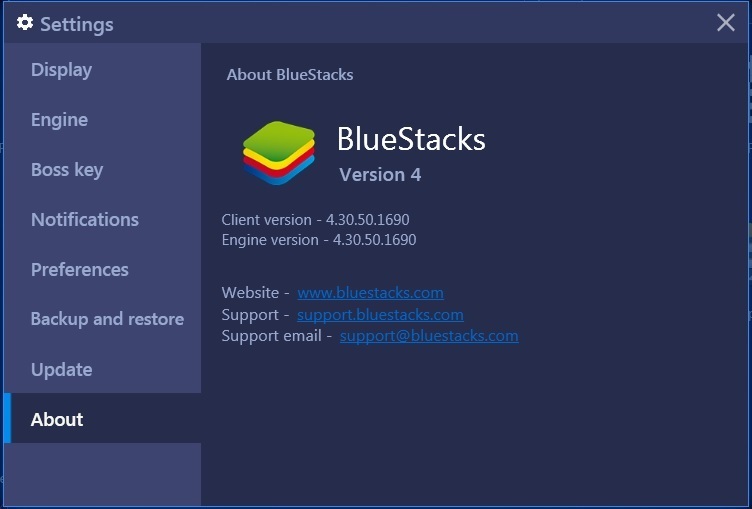 Read our detailed Blogpost about BlueStacks 4 performance here. This is all in good fun but it leaves a question, exactly how reliable is BlueStacks 4 (BS4)? That question is again broken down into the parts mentioned in the title, namely, Stability, Speed and Endurance. That’s because those are the most important aspects of BlueStacks performance in general. You won’t want to play on a platform that will just crash over and over seemingly without reason. The same goes for the games/apps we play on the Platform. You don’t want to play on a platform which makes a speed claim that it can’t hold. And you most most definitely don’t want to play on a platform that just fails when used for a longer duration. So we at BlueStacks decided to pick real gamers to run long usage tests on the new BlueStacks 4 to find out how it fared and share the results for the benefit of the larger android gaming community if anything interesting showed up. The initial thought was to use a monster gaming PC to test BlueStacks 4. However, after considering all other aspects, it was decided to use a much “lower n slower” PC to test us out. The idea is that anyone could have a monster of a gaming PC. So naturally just about anything can run smoothly no matter what you throw at it! Now consider the idea that not everyone can afford a monster gaming PC. Not everyone has those deep pockets to afford high end video cards and/or top of the line motherboards and processors. Who wouldn’t like to be able to pay their bills and still play their favorite video games? 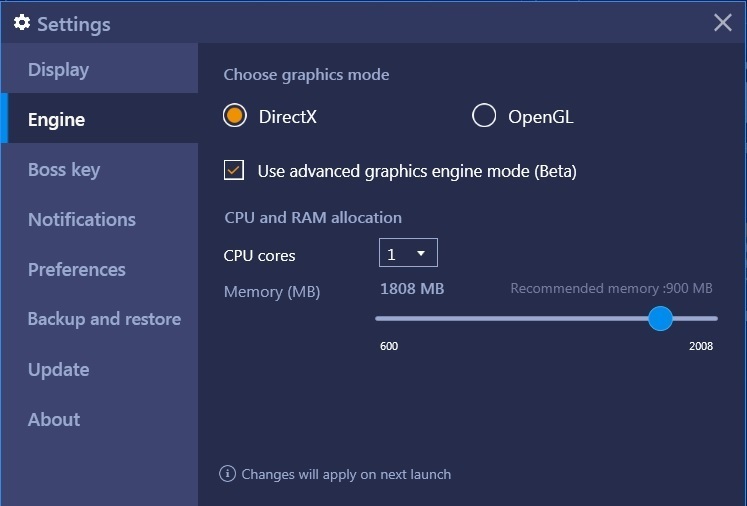 But the real idea behind this is that IF BlueStacks 4 can “hold it together” on an “older n slower” PC setup, just imagine what it can do on a monster gaming PC! Of course, this testing is done using the latest version of BlueStacks 4 as shown above. This version was released, downloaded, and installed in the latter part of September 2018. Of course it has to be configured too. The System Default resolution here is set to 1366 x 768. You’ll see in the screen shots that this setting not only allows the games to run smoothly, it also looks pretty good. The screen shot below was taken in full screen mode. 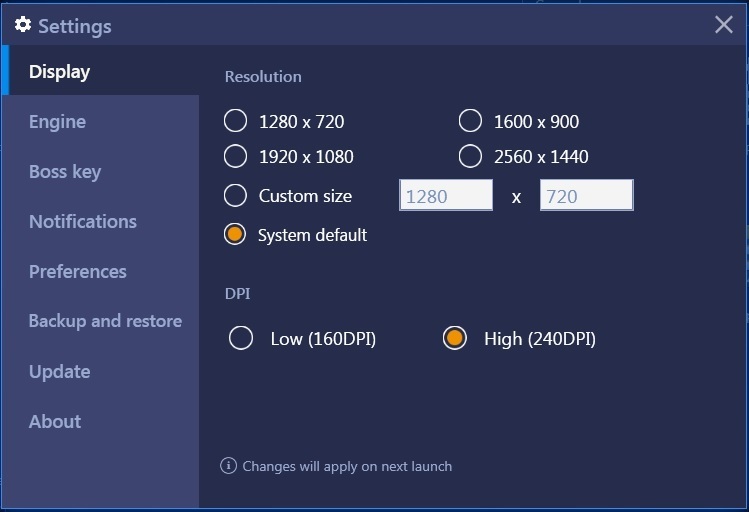 You can adjust your resolution to a higher or lower value as you see fit. It mostly depends on your hardware. In comparison, many Android devices are running at 1280 x 720. The “High” DPI setting was used to give a better “workout” to the PC that was used for this testing. There IS a little math involved but it’s all very easy math to deal with. Each instance of BlueStacks, which includes the main instance, requires at least 1 processor core and 2 GB of RAM. As a minimum, you want at least 1 processor core and 2GB of RAM to keep your operating system up and running. You can and should set these as showing in the above screen shot. So at the minimum, you can run things smoothly on a system using a dual core processor with 4 GB of RAM. In this case, the “use advanced graphics engine mode” was activated. The good news is that this did not cause any problems. The bad news is that you might have to buy and install a video card. Those with built in R5 or higher video cards have a great chance at skipping out on buying an extra video card. Then again, that extra video card for your system very well could help in other areas. So for the testing here, we used a Windows 7 64 bit PC with a 3.7GHz dual core processor, 4 GB of RAM, and a RX 550 4GB OC video card. Unfortunately, this is not enough hardware to use the Multi-instance of BlueStacks. The good news is that the games run smoothly in the main instance. And yes, many games have been tried!! You can still switch accounts and/or characters in games as needed with little to no difficulty as well. The better news is that you could get similar results without that 4GB video card simply by using the built-in video card (AMD A4-6300 APU). What game are we going to run on BlueStacks 4? Now that we have BlueStacks 4 and the hardware in place, we need a game. Not just any game. We need a game that can give BlueStacks a REAL HARD workout. 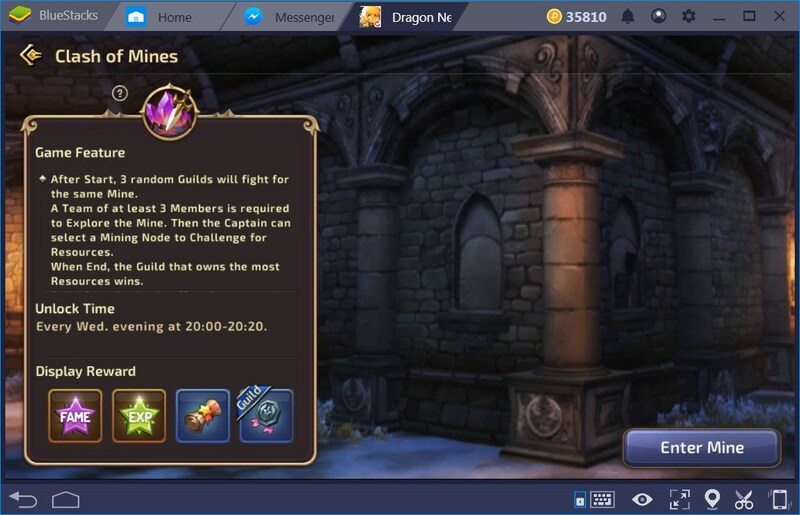 All things considered, Dragon Nest Mobile (DNM) was selected for the job. The idea is that we didn’t want some “cheesy little” game and DNM certainly delivers in that area. It delivers so much that the players (guild members) found the need to create that Facebook Messenger group chat showing in the above screen shot. The game not only has a very large amount of content, there’s a lot of complexity to it. It very well rivals the complexity of the PC version. This is a true mobile MMORPG. Not some game that’s going to play by itself 99% of the time!! It’s something you do have to control because auto-play is NOT in every part of the game. Not only does it have quite a large size to it, but its minimum system requirement is a mobile device with 1GB of RAM. DNM recommends 1.5GB of RAM. Unfortunately, we’ve received some not-so-pretty “reports” from many players with 1GB of RAM mobile devices. DNM was also tested using a 32 bit octa-core cell phone with 2GB of RAM running Android 5.1. Side by side to the BlueStacks Test Setup, DNM was played on an Acer laptop running an Android 7 based OS. This Acer laptop has an i5 quad core processor at 2.6GHz, 3GB of RAM, and a built-in Intel video card. Despite the video card, that’s already a strong Android setup in terms of the processor and the RAM. The Cloudfone Excite Prime and the laptop were used entirely on the Wi-Fi connection. The PC is wired to the router. Only the Excite Prime was used at range but it made no difference in DNM’s performance. The laptop was always at point blank range to the router. DNM was configured with the medium graphics setting, 10 player view count, and the 2.5D camera view. In every situation DNM has, you really don’t need much more than a 10 player view count. The medium graphics setting still produces a good looking game as showing in the screen shots. All the screen shots showing here are done in 2.5D. The camera view didn’t matter much since the view can be panned at will in every mode. The specific content of the game that was tested using BlueStacks 4 was chosen because it was seen to be giving the most problems to players. 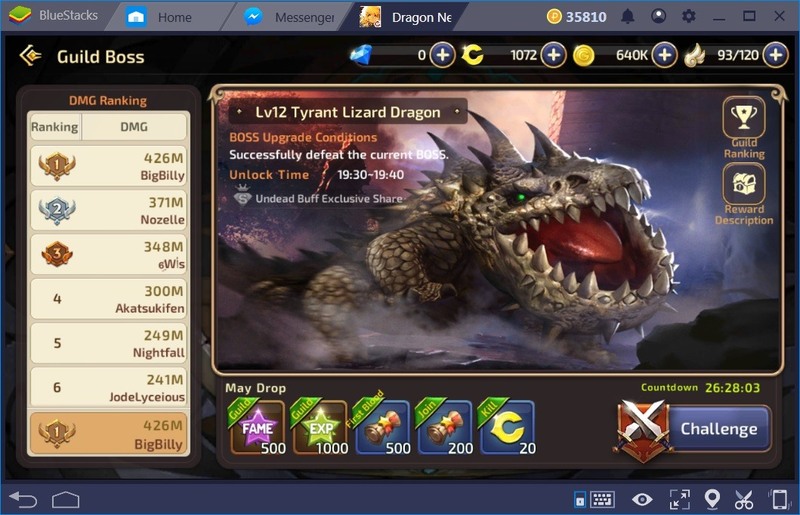 Can BlueStacks 4 Go the Distance and Keep Going? The endurance test is intended to see if things are still running smoothly on the above mentioned PC after long periods of time. Not just in BS 4 and the games you play on it but also whatever else others would typically do on a PC (use a browser, watch videos, chat, or edit pictures for example). The endurance testing was conducted for 11+ hours up to 14+ hours on specific days while running BlueStacks 4 and Facebook Messenger. Dragon Nest Mobile was run approximately 9+ to 12+ hours on those days of actual gaming (only some auto-play). Again, please check the above screen shot and notice that Messenger was constantly running for all that time. Only DNM was shut down at certain times. But BS 4 and Messenger were constantly running. Several videos were watched at random during auto-play. 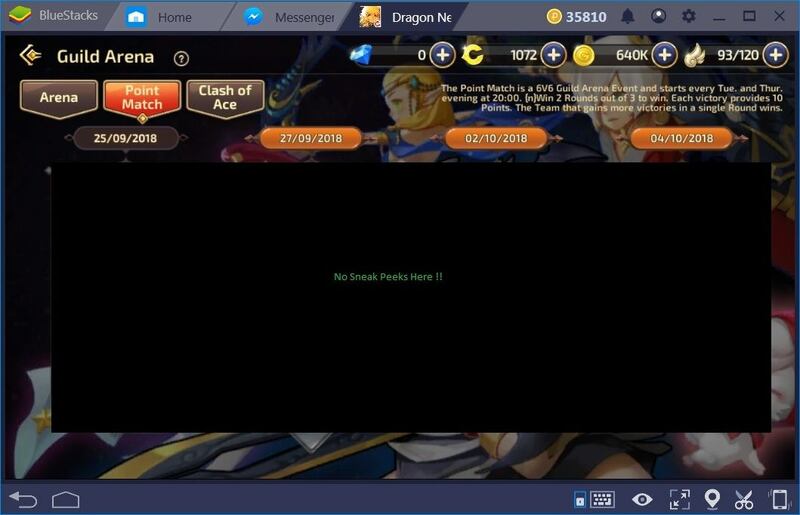 Some browsing, online shopping and chatting was also done during the auto-play and DNM downtime using Firefox (not inside BlueStacks). It was a simple matter of shutting off the sounds in DNM during the auto-play time to watch the videos. All things considered, BlueStacks 4 and DNM performed impressively well throughout the days. This is despite the long periods of time the PC and BlueStacks 4 were being used for. There were no sudden or unexplained performance losses in DNM, BlueStacks 4, or much else. There were no stutters or stops in the videos. There were no delays or lags while online shopping, browsing, or chatting. Upon returning to DNM, it ran very smoothly. This was at the same time others were complaining about lags due to the scale of the in game events. You can see in the above screen shot the results of a World Boss battle. This is a part of DNM where many players join in to try to do as much damage as they can against a very large boss creature. Even though this was NOT the start of the DNM gaming day for these tests, it is daily and provides a heavy “workout” to test the endurance of BlueStacks 4. The point here being that the character showing in the above screen shot is the second character played for the day. BlueStacks 4 was already in use for several hours before this event started. But yet, it didn’t lag whatsoever. In comparisons to the i5 laptop, the loading time was approximately 2 seconds faster. But the gaming day doesn’t stop there!! Dragon Nest Mobile has its in-game events spread to specific days throughout the week. Many of these events can seriously cause a lot of lag complaints because of what they consist of. It’s a matter of the game suddenly having to draw a massive amount more. But that certainly did not stop BlueStacks 4!! 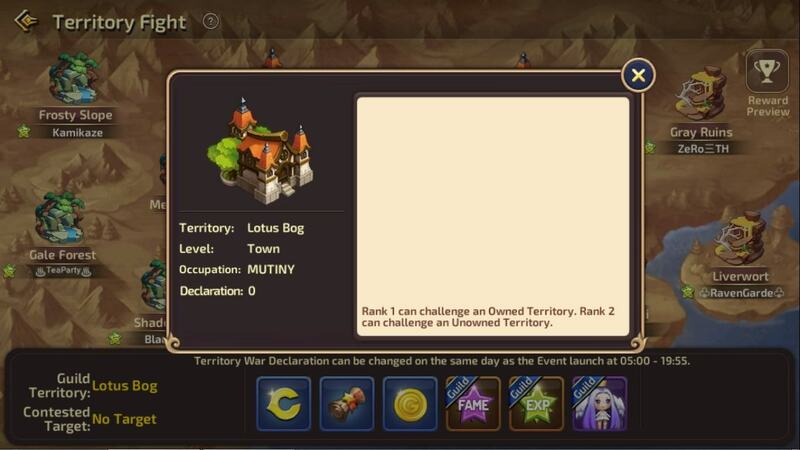 Showing in the above screen shot are the results of a Territory Fight. It’s held during a specific night many hours after the World Boss battle. The trick to it here is that there could be a very large number of players (friends and opponents) that can join this event. It just depends on the number of active players in each participating guild of the server. Each area of the playfield can hold up to 12 characters (6 vs. 6). That means the characters, all their movement animations, and all their skills and skill animations and effects are being drawn all at the same time. This doesn’t sound like much when there’re only 12 players in an area, right? But in terms of mobile devices, this is tons of drawing. Even those with 3GB and higher amounts of RAM on their Android devices were struggling with lags. BlueStacks 4 once again did NOT lag whatsoever despite the long hours of use. Now we compare things against the i5 laptop. Both systems ran very well during the territory fight. The PC using BlueStacks 4 again loaded approximately 2 seconds faster than the i5 laptop for the Territory Fight. Both setups did not lag or crash during that event. However, it was around 20 minutes after the Territory Fight, the i5 Laptop DNM crashed. However, when compared to the reports of other players, BS 4 performed amazingly. So How Fast Is BlueStacks 4? In terms of speed, BlueStacks 4 outdid all other setups quite considerably. The part you have to remember is that speed matters quite a lot in Dragon Nest Mobile. The same can be said for many other games. In the case of DNM, loading speed is the biggest problem. Many players are found still loading a game mode while using their high-end Android devices compared to BS 4. This causes a problem for many players because team members can already be done with a section while someone is still loading. But this is just part of the speed testing. Of course, the first speed test was downloading and installing the game. The comparison was done between the PC with BlueStacks 4, i5 laptop, and the Excite Prime. DNM comes in at just under 2GB in size. In total, it took BlueStacks 4 approximately 25 minutes to download and install DNM. It took the i5 laptop approximately 37 minutes to do the same. It took just over 1 hour for the Excite Prime to download and install DNM. Considering that they’re all on the same internet connection, BS 4 wins this round!! Now back to the game!! Take the example of the Clash of Mines part of DNM. This part of DNM relies on all 4 team members to be as fast as possible. When someone is still loading, this has too much potential to lower a team’s score. So the PC with BS 4 was compared with other players using Android devices. 2 of those players were on the same team. The loading speed comparisons, even after the endurance testing for the day, were very noticeable. The PC with BlueStacks 4 again loaded 2 seconds faster compared to the i5 laptop. In total, it took BlueStacks 4 about 5 seconds to load each of the Clash of Mines rounds. It took the i5 laptop 7 to 9 seconds to do the same. It took the 2 team members on Android phones 10 to 14 seconds to load it. But then they got caught by lags. The complaints of lags and crashing from Android device users were numerous during that Clash of Mines instance. On a side note, much of those lags and the crashes were caused by the September 20, 2018 update of DNM. But there we were on BS 4 playing faster than ever and without a problem. In comparisons to the Excite Prime, BlueStacks 4 vastly outdid it. The Excite Prime is an Android device that happens to suffer from a very bad loading time. Several cases of that bad loading time include nest runs where the Excite Prime was trying to load but the other team members were already done with the first section of the nest. Unfortunately, the Excite Prime is not the only Android device that suffers from this problem. Just How Stable is BlueStacks 4? 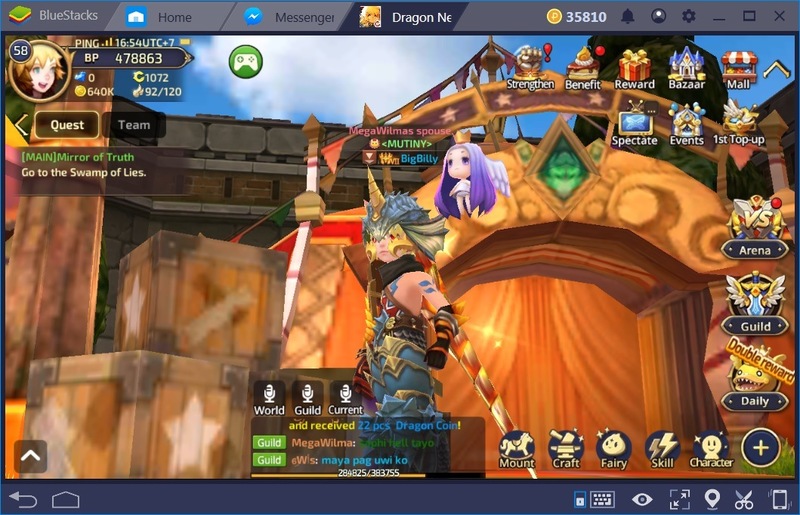 This is where BlueStacks 4 really shines while playing Dragon Nest Mobile. As it turns out, one of the night time events of DNM is called the Guild Arena. It’s a 6 vs. 6 PvP match. This one gets tricky. Not only are the contestants all in it just like the Territory Fight described above, but the matches have spectators. Not just spectators from the server, but spectators inside the area. So now there’s even more for systems to have to draw. It depends on how many guild members join into that event. Guilds can have 100+ members. This particular event is 100% NOTORIOUS for crashing on MANY Android devices. Unfortunately, BlueStacks 3N was no exception. 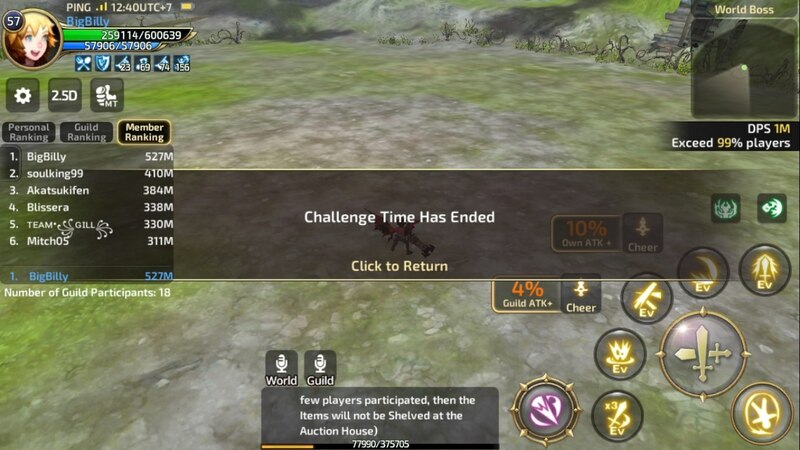 To add to the “workout” of BlueStacks 4, and many Android devices, the Guild Arena is typically held 30 minutes after the Guild Boss battle. The Guild Boss battle is very similar to the daily World Boss battle. The difference is as the names imply. The initial thought was that we’d have nothing to talk about concerning the Guild Arena in terms of BlueStacks 4’s stability. But sure enough, after 2 separate instances of the Guild Arena, BS 4 just kept on going! Okay, how about 2 for 2 as a stability test?!! 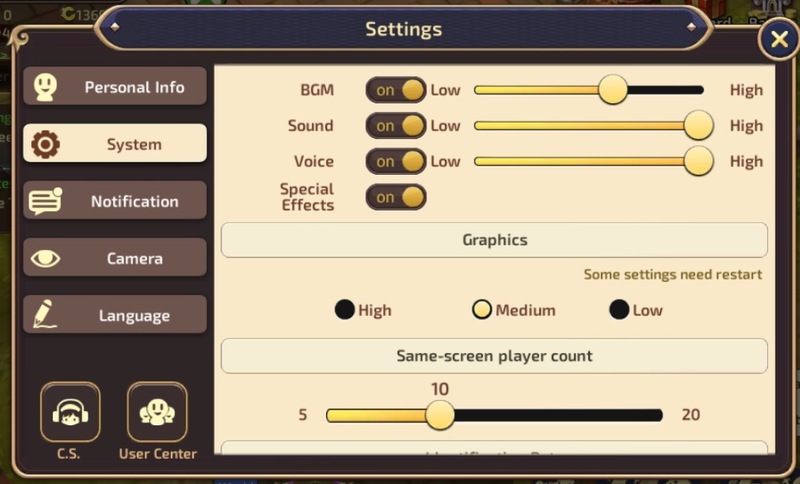 The prediction for the 2 instances of the Guild Arena that were tested using BS 4 was lots of swearing, cursing, and screaming from players on various Android devices and even the 1 player using BS 3N. Sure enough, that prediction came true. These other players in question were in fact using Android devices with octa-core processors and 3GB of RAM or more. Several of these Android devices were running on Android 6 and 7. Unfortunately for them, DNM lagged like crazy or outright crashed. So What Does All This Amount To? With BlueStacks 4, we’ve created a product that we are extremely proud of. So we decided to have some real gamers test out the product for us, to get their real feedback. In all tests, a dual core processor PC running BlueStacks outdid every other Android system in every way possible. And it didn’t cost a fortune to build that PC. Look at the Dragon Nest M game. That thing is known to cause problems especially after its last update (September 20, 2018). That’s the other reason why it was selected for testing purposes. Not only did DNM run smoothly on the dual core PC running BlueSatcks 4, it kept on running no matter what we did!! So endurance and stability testing spread across multiple days went without a problem. 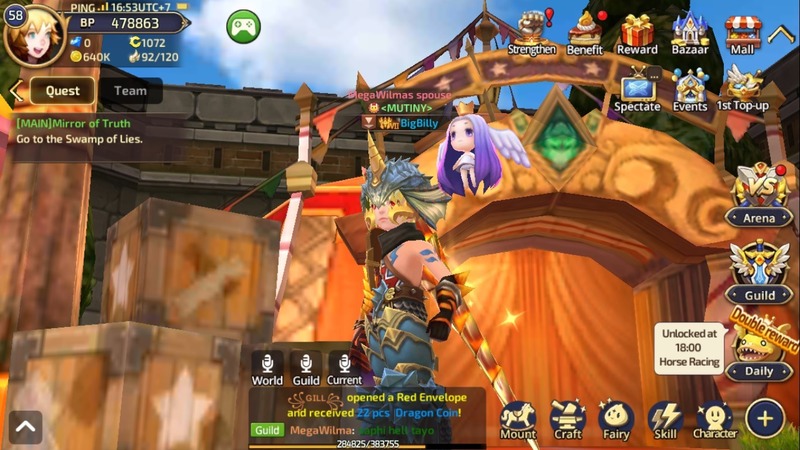 There’re many MMORPG games available for Android. Many of those games require long hours of grinding. You’d want something that can hold together for such purposes. In terms of speeds, DNM played on BlueStacks 4 didn’t produce unexplained lags. Then add the fact that the download and installation of DNM was by far the fastest. It’s nice being able to cut down that waiting time!! And yes, even few seconds matter when it comes to loading speeds. All things considered, you’d be doing yourself and your Android games/apps a huge favor by running them on BlueStacks 4.